Welcome back! 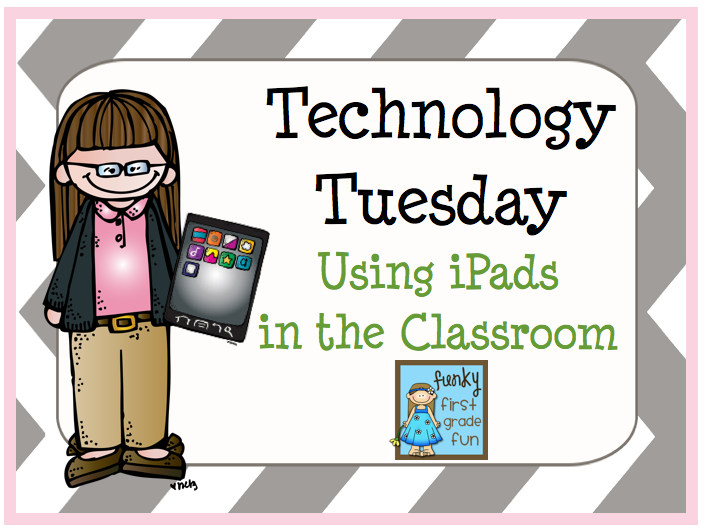 If you didn't have a chance to visit last week, then you can read the 1st edition of my Technology Tuesday posts here. I have 2 mini iPads in my classroom. 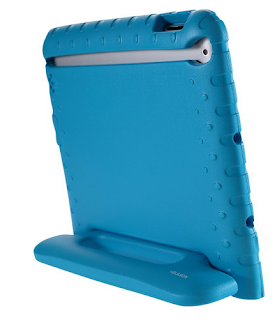 Since the mini iPads are new to my classroom, I want to tell you that I LOVE the kind of cases that I use for my mini iPads! 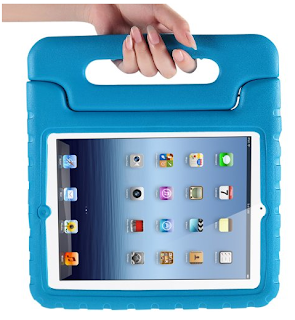 iBlason mini iPad case - It's a durable case with a handle. It also converts into a stand. I have a blue one and a green one, so I can easily identify the two different mini iPads in the classroom. I made a permission slip for using the iPad to use next year. I had already sent home two different permission slips that covered the things on this permission slips. 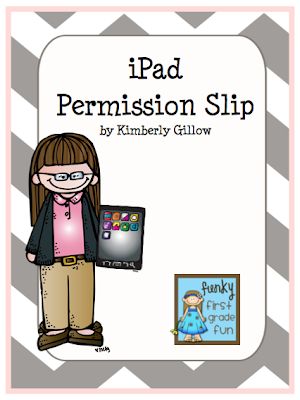 Next year, I'll have one permission slip (specific to using the iPad) for my students. You can download a copy (free) from my Tpt store, by clicking on the image below. My class keeps a daily journal with the iPad. 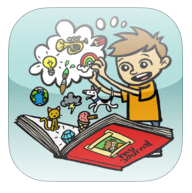 We use the app Kids Journal, which is free. It's simple enough for my first graders to use, but has enough space for more advanced writers to use to write. I choose 3 students each morning to be our "journalers" for the day. They start the day by having a meeting to add the weather, their feelings and the location on the journal page for the day. Then throughout the day, the three of them take a photo to capture learning in our room. Then they work together to write sentences about what the child in the picture is working on or learning about. At the end of the day, we read the journal entry of the day together and revisit some of the old entries. Time for this tired girl to get to bed. 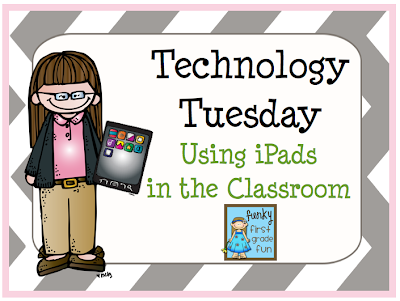 I'll share more of our iPad adventures next week in the 3rd edition of Technology Tuesday. Thanks for visiting! Those cases look great!! I'm not thrilled with the ones I have now - maybe I'll try those!